Perfectly purple feast of color! 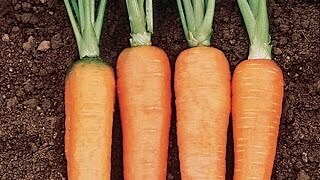 Sweet 7–8" tapered carrots make an irresistible ornamental display of color in salads, snacks or dips. Tall, healthy plants produce a profusion of purple for your eating pleasure! Color runs all the way through the root but will fade a bit when cooked, so use raw for full impact! Carrot, Deep Purple Hybrid is rated 5.0 out of 5 by 1. 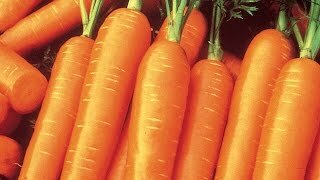 Rated 5 out of 5 by GregM 3b from Excellent growth and size All around great carrot. Germination,growth,size and yield.